Big Ten began crowning a reular season champin in 2013. 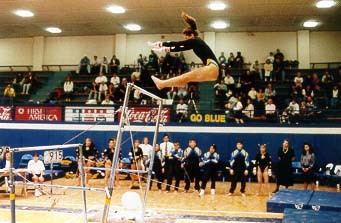 In 1993 the NCAA Championships introduced a Preliminary or Semi-Final competition with two sessions of six teams each. The top three teams in each session advanced to the "Super-Six" or final competition. In the NCAA column, places 7-12 are based on rankings in the Semi-Final sessions.